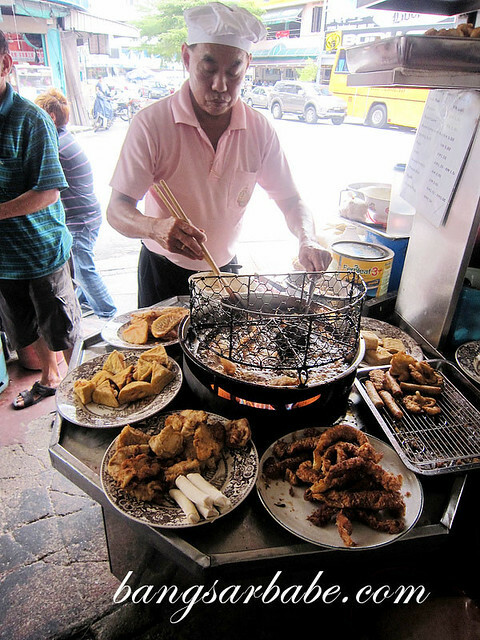 Loh Bak is one of the must-try items when you’re in Penang. While the island boasts a good number of stalls serving this popular treat, one of the popular places to have your Loh Bak is Kheng Pin cafe along Penang Road. I was told the uncle has been frying loh bak for almost 40 years and serves traditional loh bak such as tofu, prawn fritters, fish rolls and meat rolls. 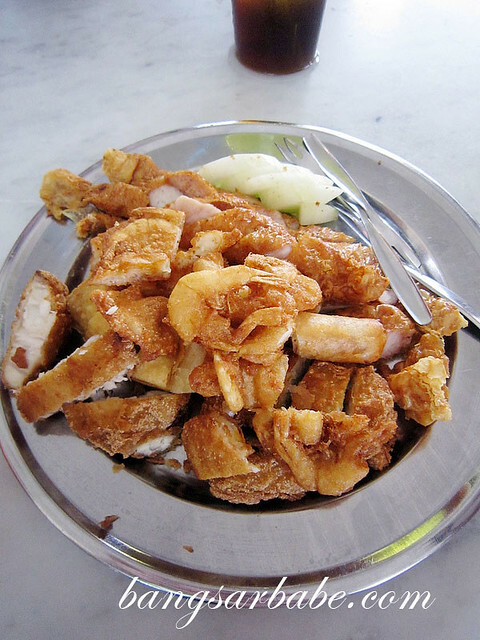 This loh bak was seasoned just right with five spice powder, and the meat remained moist beneath the crisp beancurd skin. Also good was the fritters made with small prawns. 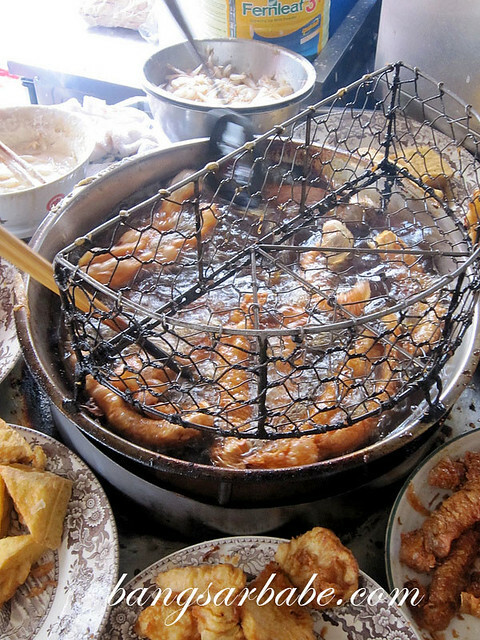 The batter held the prawns together and was deep fried till crunchy. Best eaten with the homemade chili sauce and thick starchy sauce provided. 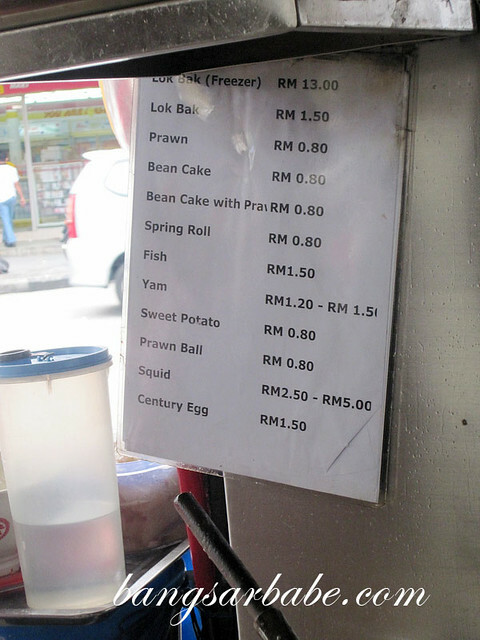 Ahh…this Loh Bak is our fave too… and then there’s the other hidden one in Pengkalan Weld that I blogged about, hehe! No doubt is one of the best in Penang. As I frequent Penang a lot, I will always try to visit this place. Have had it for at least 18 years now. Since I am living overseas now, when ever I go back I will try to make an effort to go to this place. Waaaa…that’s torture man. How to tahan liddat?? So far this is the best. Never miss whenever I am in Penang.